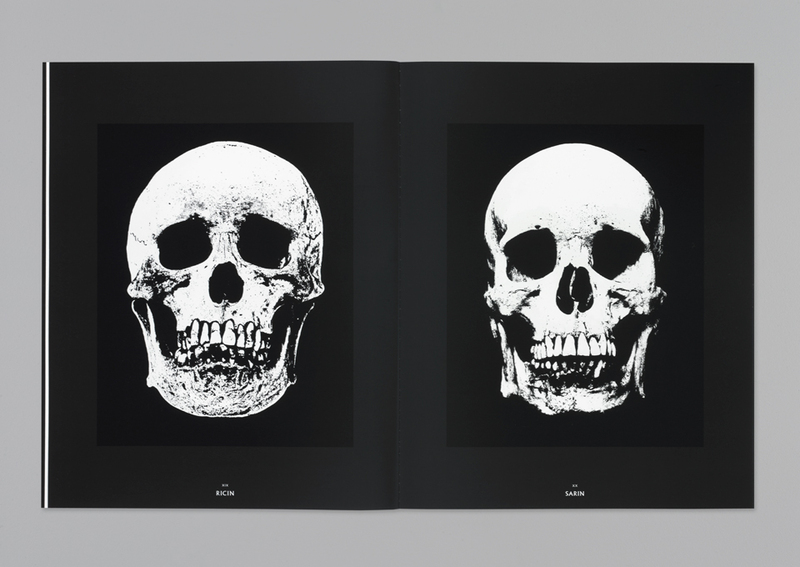 For this catalogue, two complementary groups of paintings were divided into two same-size volumes. 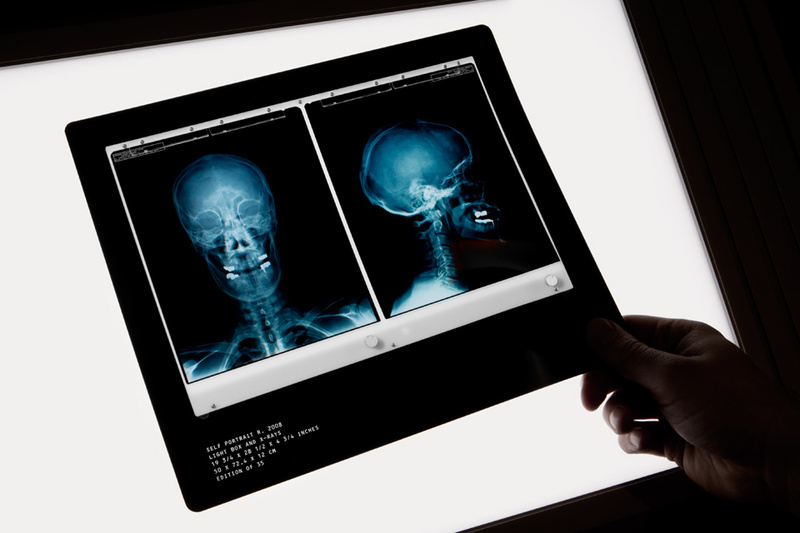 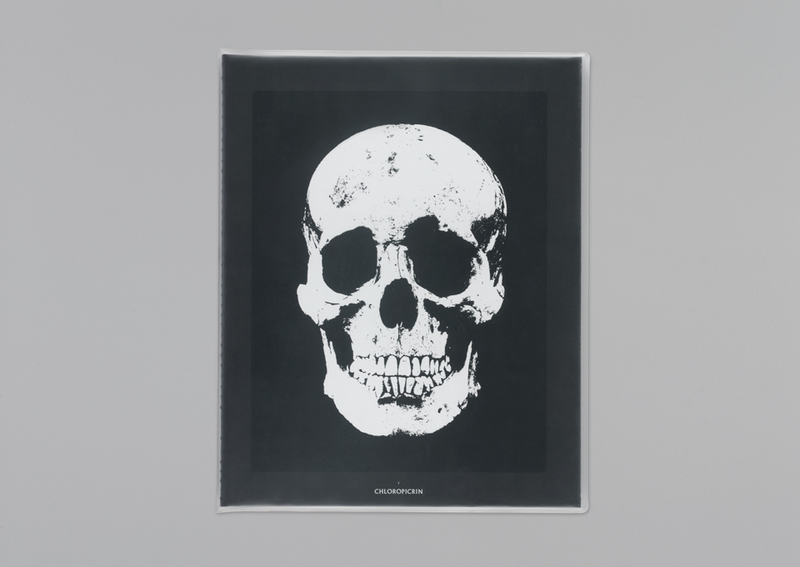 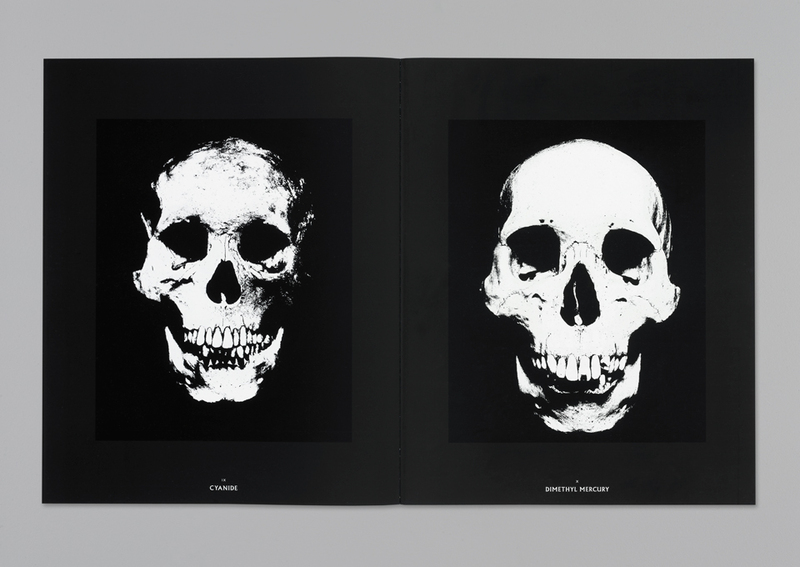 The ‘Poisons’ volume displayed the 40 consistently sized paintings as pairs to draw attention to the differences in bone structure of the skulls. 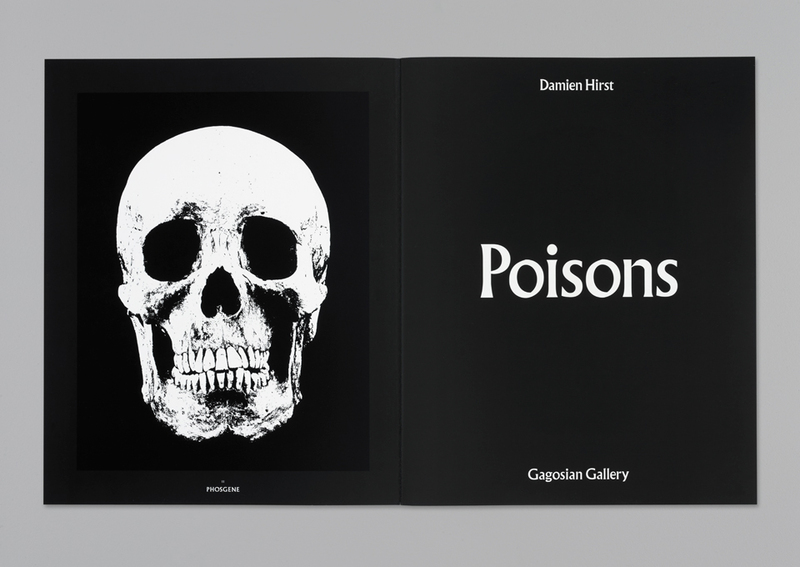 The blackness of the canvases was emphasised by using three black inks in the printing. 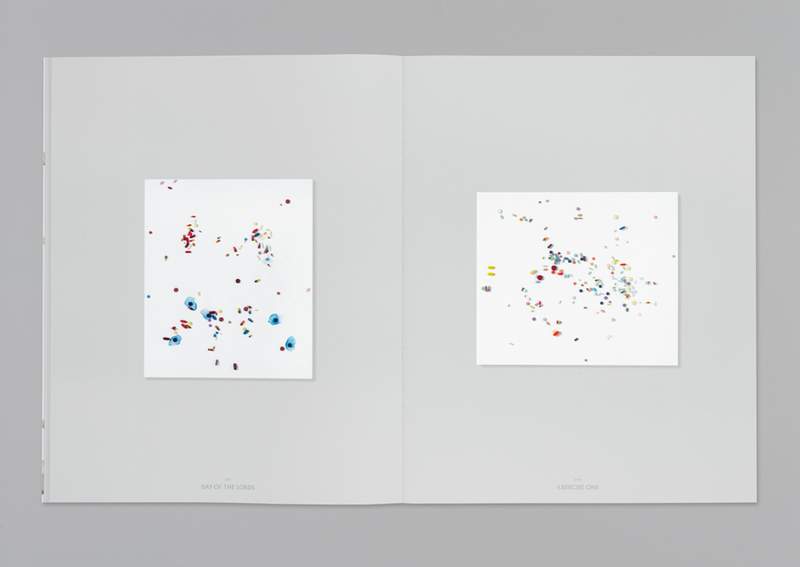 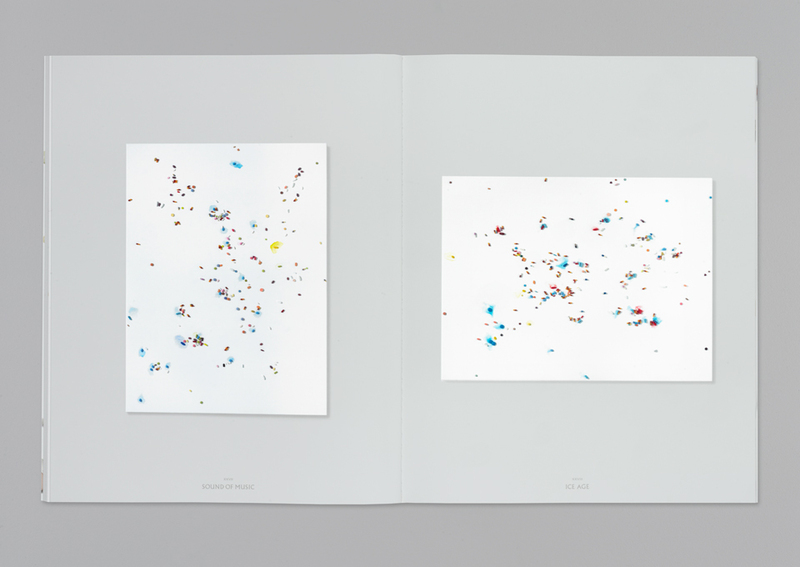 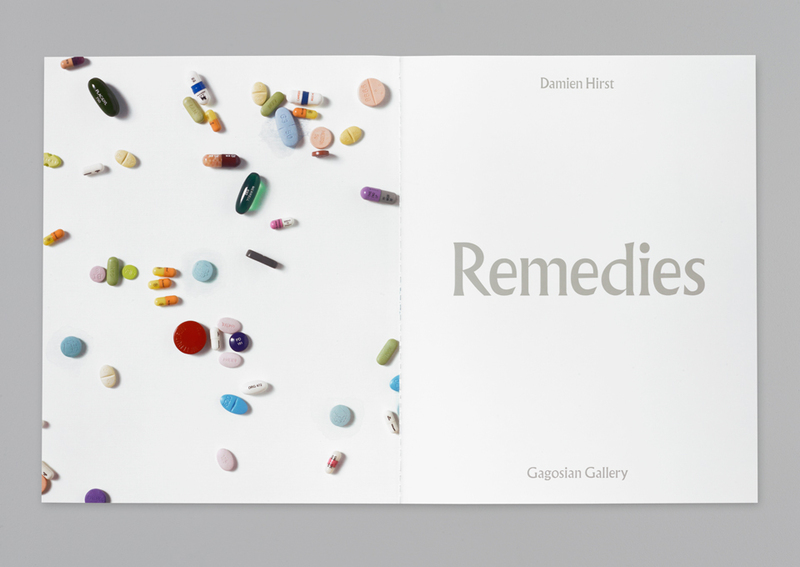 The second volume displayed the ‘Remedies’: white canvases scattered with replica pills. 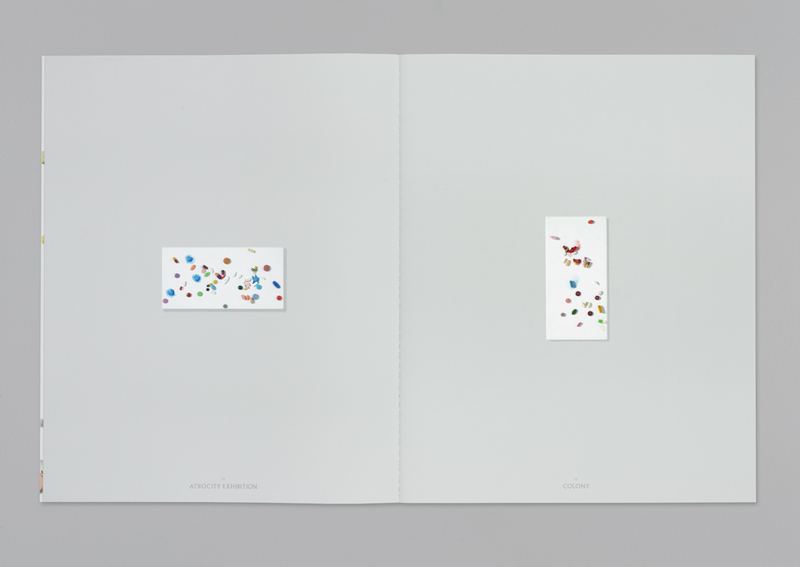 Reproduced against a pale grey background to emphasise their brightness, the dramatically different sized paintings were arranged in order of increasing scale. 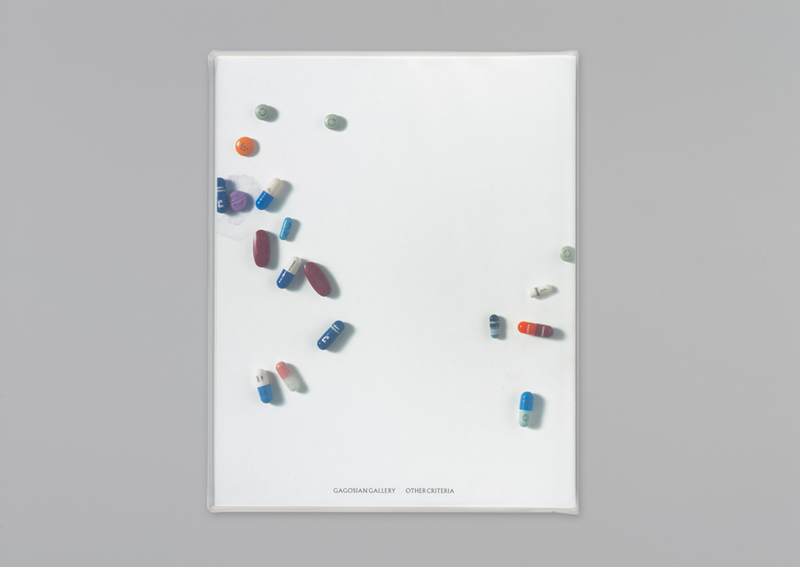 Consistently sized details were interspersed to emphasis the constant scale of the pills. 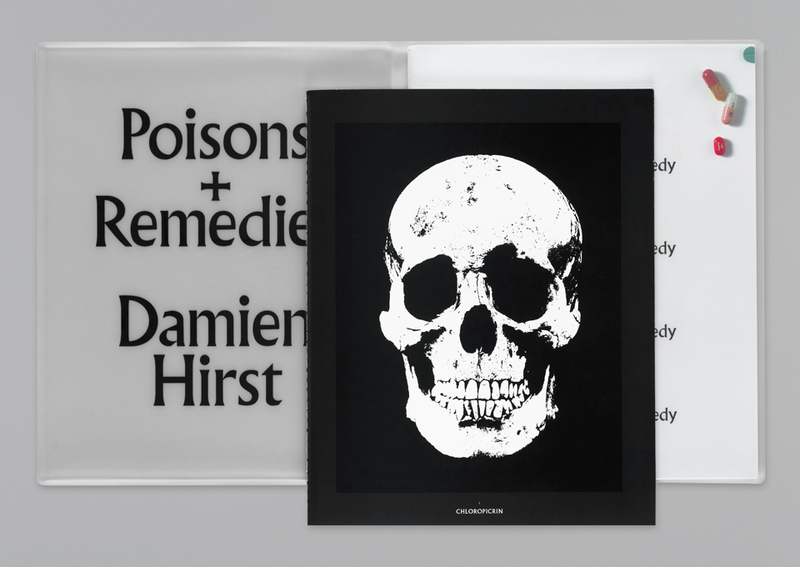 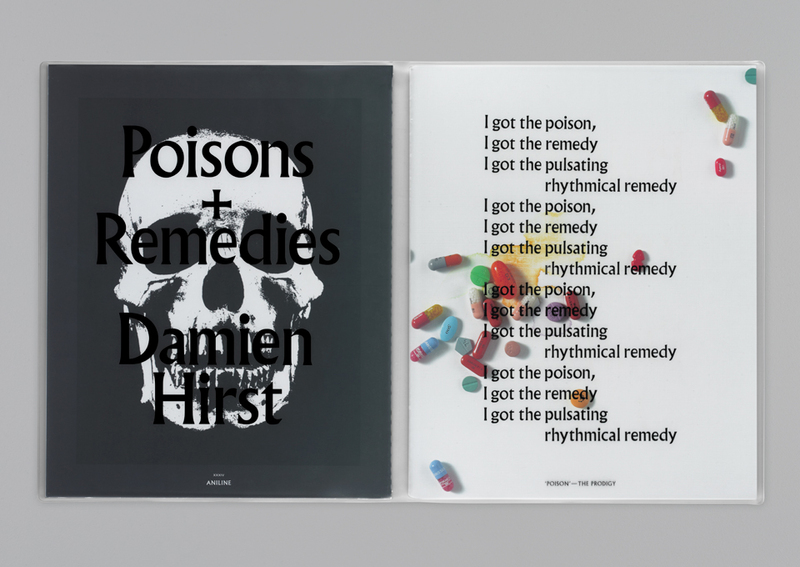 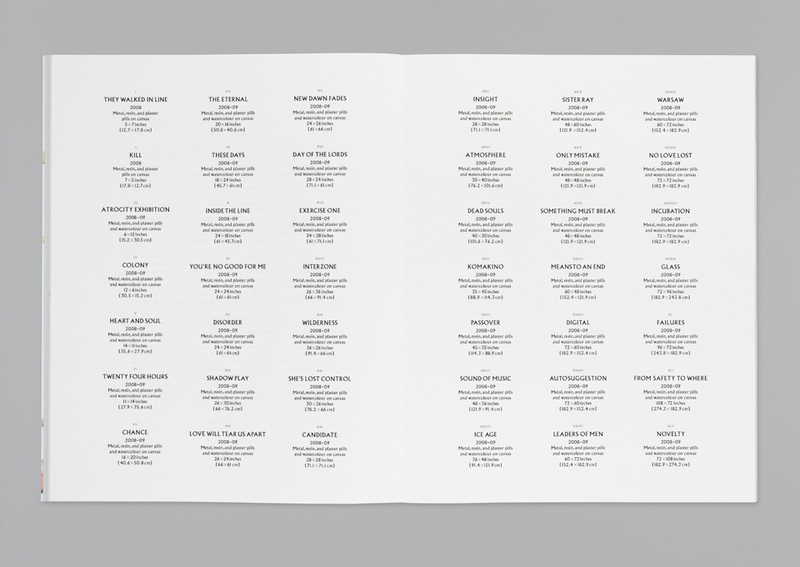 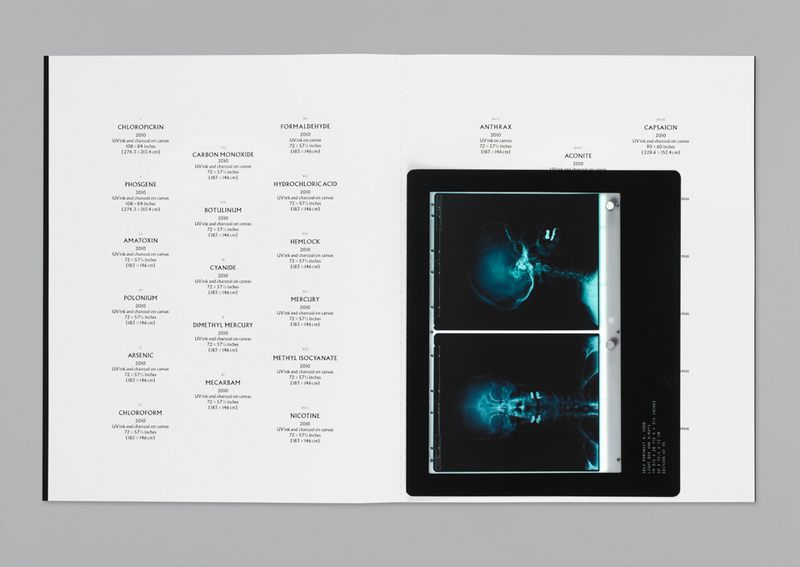 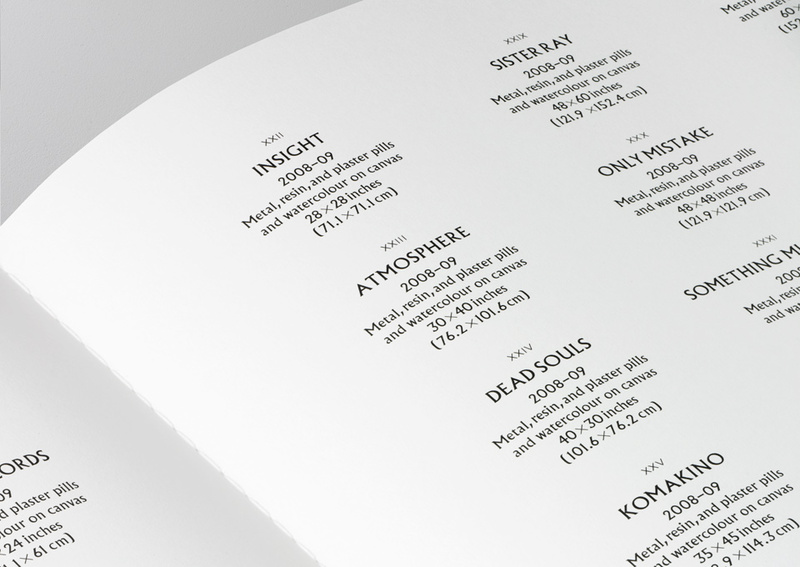 The two volumes were united in a soft PVC sleeve bearing the lyrics of ‘Poison’ by The Prodigy.